Washington: Indian food, with its hodgepodge of ingredients and intoxicating aromas, is coveted around the world. The labour-intensive cuisine and its mix of spices is more often than not a revelation for those who sit down to eat it for the first time. Heavy doses of cardamom, cayenne, tamarind and other flavours can overwhelm an unfamiliar palate. Together, they help form the pillars of what tastes so good to so many people. But behind the appeal of Indian food — what makes it so novel and so delicious — is also a stranger and subtler truth. In a large new analysis of more than 2,000 popular recipes, data scientists have discovered perhaps the key reason why Indian food tastes so unique: It does something radical with flavours, something very different fthan in the United States and the rest of Western culture. And it does it at the molecular level. Before we go further, let’s take a step back and consider what flavours are and how they interact. If you were to hold a microscope to most Western dishes, you would find an interesting but not all-too-surprising trend. Popular food pairings in this part of the world combine ingredients that share like flavours, which food chemists have broken down into their molecular parts — precise chemical compounds that, when combined, give off a distinct taste. Most of the compounds have scientific names, though one of the simpler compounds is acetal, which, as the food chemist George Burdock has written, is “refreshing, pleasant, and [has a] fruity-green odour,” and can be found in whiskey, apple juice, orange juice and raw beets. 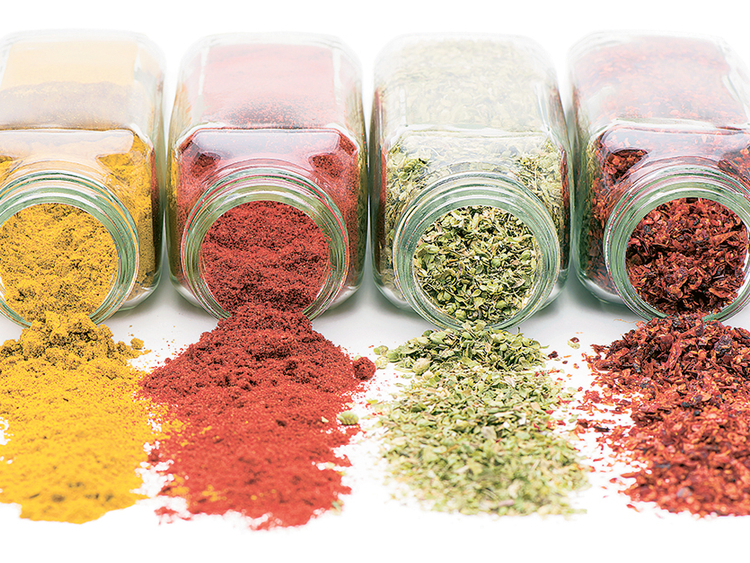 On average, there are just over 50 flavour compounds in each food ingredient. A nifty chart shared by Scientific American in 2013 shows which foods share the most flavour compounds with others and which food pairings have the most flavour compounds in common. Peanut butter and roasted peanuts have one of the most significant overlaps (no surprise there). But there are connections that are more difficult to predict: strawberries, for instance, have more in common with white wine than they do with apples, oranges or honey. Chefs in the West like to make dishes with ingredients that have overlapping flavours. But not all cuisines adhere to the same rule. Many Asian cuisines have been shown to belie the trend by favouring dishes with ingredients that don’t overlap in flavour. And Indian food, in particular, is one of the most powerful counterexamples. Researchers at the Indian Institute for Technology in Jodhpur crunched data on several thousand recipes from a popular online recipe site called TarlaDalal.com. They broke each dish down to its ingredients, and then compared how often and heavily ingredients share flavour compounds. The researchers examined several thousand recipes, which used a total of 200 ingredients. They looked at how much the underlying flavour compounds overlapped in single dishes and discovered something very different from Western cuisines. Indian cuisine tended to mix ingredients whose flavours don’t overlap at all. “We found that average flavour sharing in Indian cuisine was significantly lesser than expected,” the researchers wrote. In other words, the more overlap two ingredients have in flavour, the less likely they are to appear in the same Indian dish. More specifically, many Indian recipes contain cayenne, the basis of curry powder that is in dishes like red curry, green curry, or massaman curry. And when a dish contains cayenne, the researchers found, it’s unlikely to have other ingredients that share similar flavours. The same can be said of green bell pepper, coriander and garam masala, which are nearly as ubiquitous in Indian cuisine. “Each of the spices is uniquely placed in its recipe to shape the flavour sharing pattern with rest of the ingredients,” the researchers noted. Milk, butter, bread and rice, meanwhile — all of which are hallmarks of Western cuisine — were found to be associated with just the opposite: flavour pairings that match. When any of those ingredients appeared in an Indian dish, there was a good chance there would be a lot of flavour overlap. The takeaway is that part of what makes Indian food unique is the way flavours rub up against each other. The cuisine is complicated, no doubt: the average Indian dish, after all, contains at least seven ingredients. But all those ingredients are important because in any single dish, each one brings its own flavour.